a pretty amazing and beautiful process taking place. Since we are so busy harvesting these delicious veggies before they embark on their reproductive journey, we miss when they flower and produce their seeds. Using Arugula as an example, once the seed germinates, its goal is to produce the edible leaves we all know and love. This is the typical point where we eat the Arugula, it ends up at the market, store and finally on our plate, but if we didn't harvest the leaves the next stage would be what is called bolting. This is when the plant focuses its attention and energy on reproduction and not on delicious leaf production. The result is a stalk that flowers and less desireable, bitter tasting leaves. For the last few months, these beds have been producing a whole mess of delicious, spicy and unique asian mustard greens that have been spicing up the farm's irresistible and unique salad mix. Eventually, these beds are going to need to be pulled and a new rotation of lettuces, mustard greens, carrots, turnips, radishes and other veggies are going to be transitioned in, but in one last attempt to reproduce, these mustard greens coupled with the warm spring climate change begin bolting. The coolest part is, the flowers taste just like the plant they come from. Now, I'm no certified obstetrician, but I do know that popping out babies is no easy task and requires a serious amount of energy, so it makes sense that the actual spinach or mustard leaves lose their flavor. Nevertheless, if you catch them at the right time, you can eat some of these flowers and they can pack a serious punch. 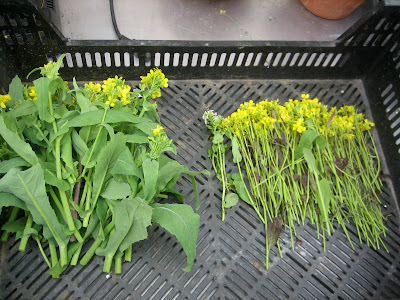 The mustard flowers below are a definite favorite of mine as they have the same unique, spicy flavor that the Purple Osaka mustard leaves have. So now you get the same great taste, but in an "impress your grandma" sort of way. Every time we harvest a mustard green whether it be Arugula, Osaka or any other, we are in fact injuring the plant and just like when we get a cut on our knee or arm, the plant is alerted of the problem and cells work to reproduce new leaves. 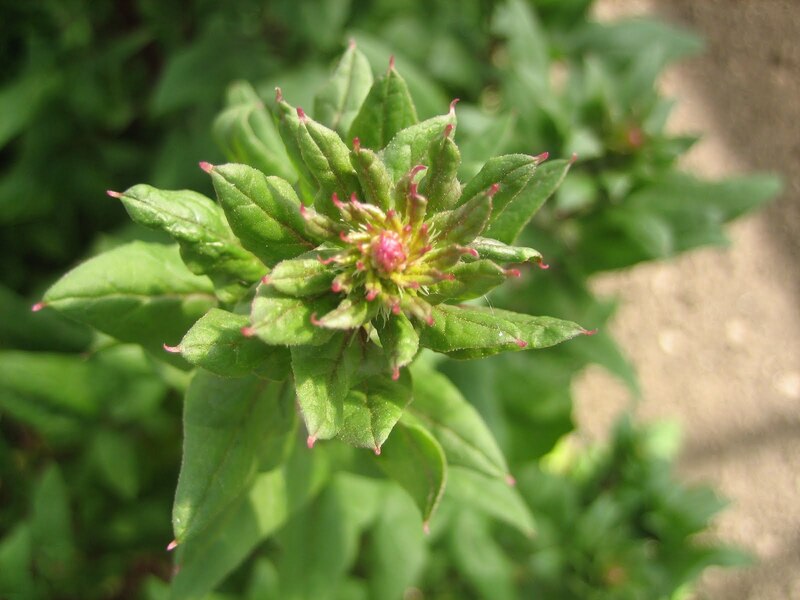 Now these plants are so smart they actually produce bigger and faster leaves. Unfortunately, there are no magic plants that can be endlessly harvested...yet, so eventually the plant is left on it's own to bolt before being pulled from the bed. So Mix it up, grow some mustards, eat some flowers and enjoy.